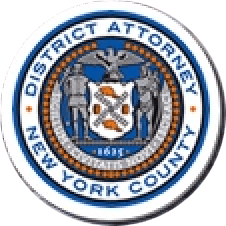 Manhattan District Attorney Cyrus R. Vance, Jr., today announced the indictment of JANET LEE, 42, for using a stolen identity and forged documents to apply for and obtain an apartment in SoHo. The defendant is charged in a New York State Supreme Court indictment with Identity Theft in the First Degree, Forgery in the Second Degree, and Criminal Possession of a Forged Instrument in the Second Degree. According to the indictment and documents filed in court, on June 21, 2017, LEE emailed a real estate company to inquire about an available apartment listing at 480 Broadway and falsely provided the name of another person to the broker, who—believing LEE to be someone else—arranged to show the apartment to the defendant the same day. Later that morning, the defendant appeared in person, reiterated her interest in the apartment, and initiated application proceedings, all while falsely representing herself as the victim. As part of the application process, LEE also provided a forged driver’s license, tax return, and wage statements corresponding to the victim’s name and Social Security number. In total, LEE signed the victim’s name more than 60 times in the rental application and lease agreement while falsely presenting herself as the victim. Assistant District Attorney Francesca Bartolomey is handling the prosecution of the case under the supervision of Assistant District Attorney Lisa DelPizzo, Chief of Trial Bureau 30, and Executive Assistant District Attorney John Irwin, Chief of the Trial Division. District Attorney Vance also thanked NYPD Detective Michael McFadden and Sergeant Joseph Tarsio, both of the Organized Theft Squad, Deputy Inspector Christopher Flanagan of the Financial Crimes Task Force, and Chief Joseph Dawling, Commanding Officer of the Grand Larceny Division for their assistance with the investigation.